Writer/director/producer M. Night Shyamalan goes behind the camera once more for "Glass." 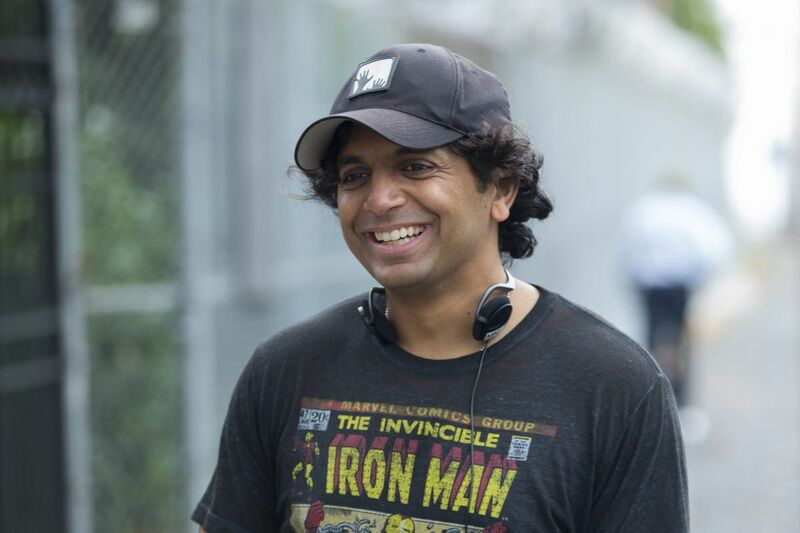 Director M. Night Shyamalan's latest movie is officially underway in Philadelphia. About to go to sleep before the first day of shooting #Glass. Thinking about the incredible week of rehearsals we had & hoping for the best. The film so far has brought stars Bruce Willis and Samuel L. Jackson to Philadelphia as they reprise their roles from Unbreakable as David Dunn and Elijah Price (aka Mr. Glass). Willis and Jackson will join Split stars James McAvoy (Kevin Wendell Crumb) and Anya Taylor-Joy (Casey Cooke) for the production. American Horror Story star Sarah Paulson also appears. A film synopsis indicates that Glass will involve Willis' Unbreakable character pursuing McAvoy's character from Split. Jackson's Mr. Glass, meanwhile, watches the ordeal unfold while keeping key secrets from the two men. Written and directed by Shyamalan, the film is currently scheduled for a Jan. 19, 2019 release. Two weeks out from shooting #Glass. All the actors descend on Philly in a few days for rehearsal week. Boot camp time. #Glass starts shooting 1 week from Monday. @anyataylorjoy arrived for rehearsals @MsSarahPaulson, @SamuelLJackson, & Mr Willis flying in! With its release in 2019, Glass will serve Shyamalan's followup to Split, a hit that brought in some $277 million worldwide — pretty good for a movie with a $9 million budget. Check out our review here.